Hi Thomas, let me start by saying … NICE REVIEW ! I followed the 1st part and enjoyed the second one; yet, I think you drove at 200mph over the lower end of the SDR spectrum. Antennas indeed! I listened to shortwave as a kid and became interested again in listening. Bought the RSP1A and now realize that it is only half the entry price back and will need a “proper antenna”. The vast array of options and technology is boggling my mind not to mention identifying the connectors needed these days. At this point, I am just trying to receive a usable signal that I can listen to. While I certainly appreciate the articles covering SDR’s most of this is really incomplete for me without some discussion on what are the recommended antennas that will not cost an arm and a leg. 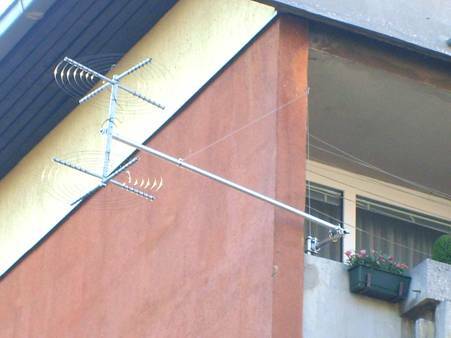 It’s true that these posts focus primarily on loop antennas, but that’s only because of the noise most of us have to deal with at home these days. Give a random wore a try, or consider building or buying a sloper or check out this one from LnR. The antenna point is very important. Consider which would be better to pick up some signals: an RTLSDR with frequency coverage, paired with a very good antenna, or an SDRPlay product paired with that small metal antenna that’s fine for VHF and UHF the RTLSDR people give you. 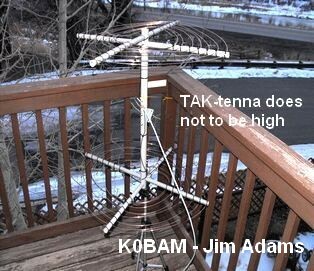 People who are reading a primer because they haven’t gotten into the hobby and they want to will need a lot of help finding a good antenna (that means one they can buy rather than build at that point in their experience with the hobby). It would be very helpful to beginners to find some relatively inexpensive antennas that can be connected to an SDR with a minimal level of engineering required. If soldering is seen as a required skill, people just won’t try if they haven’t done so before. David, don’t be scared by antennas; they may seem “rocket science stuff” at first, but they aren’t (as long as you grab some basic concepts), but let me step back, let’s start from some baseline; when it comes to setting up antennas, the first thing to evaluate is the “how much space” and then the “where and how”; in short, if you don’t have access to a roof/loft/terrace/balcony, then you’d probably have to go for an indoor antenna or for some window hung one (there are several good ones) and in such a latter case, deciding for something “dangling” out of a window or for (say) a magnetic loop, depends from the kind of environment surrounding you. All the best and, again, a huge THANK YOU to Thomas for this very cool blog ! When purchasing a SDR dongle, check the range, as some receive as low as 25 MHz, thereby allowing one to hear CB and 10m ham. Stick with a reputable vendor like Nooelec or RTL-SDR.com’s dongle. Thomas this was an excellent article of yours. Thanks for all the effort crafting it. I had no experience with SDR’s until last night. I found a list of online SDR’s because I was trying to DX the Solomon Islands on 5020. I found one in New Zealand using a Kiwi SDR with loop antenna and the signal came in quite well. It was quite the experience DX’ing remotely. I had always thought that using SDR’s were somehow ‘cheating’ for some reason but I am rethinking things now. Not that I need one as I have a couple of really nice HF receivers, but it was fun looking for stations that are next to impossible anymore due to increased RF interference. The KIWI is $199 and is worthy of being in the list. In my opinion it should be at the top of the list for HF. Yes most people buy it with the matching Beaglebone for $299. But you don’t include the price of the computer needed to run the other units so it shouldn’t keep the KIWI out of the running either. SPOLIER ALERT! You’re going to see the KiwiSDR featured prominently in Part 3 of the SDR Primer! 🙂 (It’s in the October issue of The Spectrum Monitor Magazine if you want to read it now). You’re right–it’s a phenomenal little receiver. I included the KiwiSDR in part three because configured with BeagleBone, it’s $299.